Epicurious challenged cheese expert and noted author Liz Thorpe to guess which one of two cheeses was more expensive. 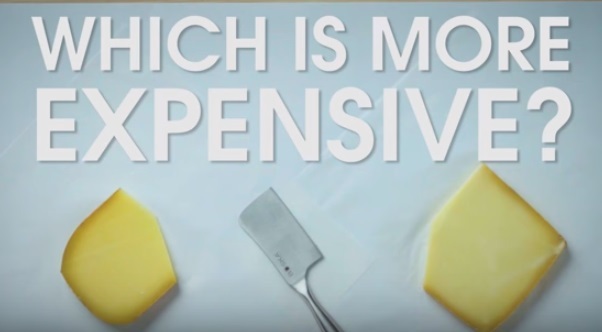 Liz breaks down cheap vs expensive parmesan cheese, goat cheese, gruyère cheese, feta cheese, and blue cheese. 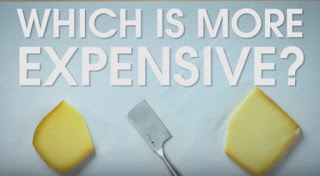 For each round of cheap cheese vs expensive cheese, Liz visually analyzed, smelled, then executed a taste test before guessing which cheese cost more. Once the prices were revealed, Thorpe explained why a specific cheese making process costs more and dives into the specifics of how to make the different cheeses.